Thrilling new Jaeb show asks: What would you do if you only had a Hundred Days with the love of your life? Let’s say one morning you hustle into your favorite coffee shop, order your regular, and as you’re dawdling by the pick-up counter, you happen to make eye contact with someone at the high-top in the corner who happened to look up the same time you did. An exchange occurs in that moment: you capture each other, an undeniable knowing that you are supposed to be together passes between you. You brave the unknown; you travel the 8,000 miles across the coffee shop to speak. A conversation leads to a date that leads to a long weekend where you wake up Tuesday to discover yourself in love. You become that skipping, smiling, whistling, happy happy joy joy supernova of a besotted lump experiencing what it feels like to be the most favored in the universe. Nothing could throw a hitch in your skip. But news arrives you didn’t expect – a diagnosis, a deployment, something that sets your time together against the clock. You found the love of your life, yes. But, you’ll only have one hundred days with that person. Three and a half months. How would you choose to live each and every one of those days? So goes the premise of Abigail and Shaun Bengson’s autobiographical punk-folk-indie-rock-electronica blues show, Hundred Days, which runs in the Jaeb Theater Jan. 15 – March 24. The show, which reveals their love-at-first-sight story and the crazy events that followed, does so through a rock concert structure, almost like a reverse musical. Hundred Days is a concert that tells a story – a very personal, very extraordinary, very funny story about the make-or-break need to become vulnerable if you want to make love stay. Professional singer-songwriters, the Bengsons wrote all the songs for show, pulling from their favorite theatrical forms to get Hundred Days exactly where they wanted it to be: leaving audiences wishing the show itself lasted at least as long. The show has been a huge hit in New York and San Diego, where it ran before the Bengsons packed up their guitars and drums and headed to Tampa. Our INSIDE magazine caught up with Abigail and Shaun during their opening weekend at La Jolla Playhouse in San Diego to talk about Hundred Days, family life and their upcoming Florida debut at The Straz. INSIDE MAGAZINE: Tell us a little bit about this show. It’s a departure from the traditional musicals we normally have at The Straz and it’s not a jukebox musical or a concert. What is it? ABIGAIL AND SHAUN: It’s true that Hundred Days is not your standard musical theater fare. We started out as musicians and moved into the world of writing for theater because of our passion for telling stories and the ability theater has to bring people together for big moments of shared emotional catharsis. So, our music pulls from a wide variety of genres that inspire us, like folk, punk, indie rock, blues and electronica. We also pull from a lot of different theatrical styles when it comes to building the structure and form for the stories we want to tell, including folklore storytelling, documentary, concert and stand-up comedy. Our core collaborators Sarah Gancher, Anne Kauffman and Sonya Tayeh have also been hugely instrumental in creating this new, music-theater hybrid. They helped us push the form and the sound as well as weaving in more traditional theatricality throughout our work. And really, the truth is, even with all of the ways in which we are trying to break the mold, at its core, Hundred Days is a story told through music just like any other piece of musical theater! It’s all in the service of building an emotionally compelling story that we hope will resonate with our audiences. IM: How “true“ is the “based on a true story” part of Hundred Days? A&S: It is embarrassingly true! We really did have our first date, then three weeks later, we were hitched. Something about the moment of our falling for each other shattered any illusions of youthful invulnerability we had, made us realize the pain of placing so much of our hearts into such a fragile vessel. Some details and events are changed in the show in order to fit it all into 90 minutes, but any change that we made was designed so that the show would better convey what it felt like to go through that time – the joys and the terrors that we felt. There is a scene in the show that is an actual transcription of a conversation we had. It’s in there in all its glory and its humiliation. IM: You all spend a lot of time together. What’s your secret to staying a happy, healthy and productive family? A&S: Yes, we do spend a whole lot of time together. We’ve actually really worked for many years to be able to build a life in which we could be together as much as we can possibly be. It is truly the blessing and the joy of life that we get to. This is the exact opposite of how we’ve handled pretty much every other relationship in our lives. We’re both huge introverts and usually need a great deal of personal space. But, it’s just not like that with each other. There is certainly a lot that we needed to figure out in terms of combining and balancing family and work and it’s a daily practice to try and get it right. Finding that balance has become even more true since the birth of our son two years ago. We really thought we were already operating at full capacity, but, man, we can’t believe how many plates we have to spin at once trying to keep the art going and raise our boy in a way we feel good about. If there is any secret at all, it’s being as open and honest with each other as we can, trying always to talk things through, really working to try and hear and support each other. That can be easier said than done, but it really does come down to that for us. IM: Share some of your musical influences and mentors … how do you create the Bengson “sound“ in this show? A&S: We grew up listening to all sorts of music and we hope that it comes through when you listen to our tunes. We’ve been writing this show for more than a decade, and you can hear a lot of the different styles of music that we’ve been writing and listening to from over that time. The core of our music is really all about folk, both American folk music as well as from places all over. We grew up listening to a lot of ‘60’s folkies like Joni Mitchell, Paul Simon, Odetta and Ewan MacColl. There’s a lot of music being made right now that inspires us a lot too that draws on that folk tradition – Sufjan Stevens, Joanna Newsom, Sharon Van Etten. We also really love it when that folk sound meets punk music (The Pogues, Gogol Bordello, Flogging Molly). We are also huge fans of big vocalists and singers from Motown, soul, and Latin music like Etta James, Aretha Franklin and Caetano Veloso. The newest elements that we have loved playing with is using big heavy electronic beats and playing with interesting electronic sounds and textures like The Flaming Lips, Björk, Kanye, James Blake. Everyone onstage in Hundred Days plays an instrument and sings, so this blend of acoustic and electronic elements with a big choral sound is what this show is about for us. IM: Hundred Days is the kind of show that really touches the heart. Do you often have audience members sharing stories with you? Would you mind sharing one or two touching moments you’ve had with fans? A&S: We have heard a lot of sweet stories from people! Our favorite thing is getting to hear stories from both the brand-new young couples in the house as well as from couples who have been together 50-60 years. There was one older couple in their 80s who were sitting beside our associate director, Caitlin Sullivan, and she couldn’t honestly tell what they were thinking about the show. But, as they were leaving, she heard the woman say, “That is exactly what it felt like to be young and in love. That is just what I remember.” That really meant a lot to us. IM: What do you hope audiences will get out of this show? A&S: In many ways, these are frightening and confusing times we are living through. We find that it’s easy to get beaten down, to numb yourself out, to give up. This show is about the power of fear and the ease with which it can prevent us from living. This show is our way of continuing to challenge ourselves to love and to live and to not give in even when the stakes feel insurmountable. And also – we hope everyone will enjoy the awesome music and hilarious jokes. In the studio recording the cast album. Photo from Instagram: @hundreddaysny. If anyone is curious to hear the music before the show, we just released the official cast album. You can find it on iTunes, Spotify, wherever you go for your music. We worked hard on it, and we are proud to get it out there and share it with folks. We are so honored to get to be coming to Tampa, to be welcomed into this theater and this community. We are looking forward to meeting all of you! Springsteen’s musical progeny teem within the alt-rock and Americana scenes, including our Club Jaeb series. Or, as millions (probably billions) of fans know him: BRUUUUUUUUUUUUUUUUUUUUUUUUUUUUUUUUUUUUUUUUUUUUUUCE. Why we haven’t seen a generation of children named Springsteen remains a mystery given the man’s four decades of generating an extreme fanbase with his theatrical, high-energy concerts and workingman’s albums that swing from pop to rock to folk to a certain Jersey Shore spiritualism. Then he became a New York Times bestselling author with his memoir in 2016 followed by his stint last year as a Broadway superstar during his sold-out one-man show/concert. Ever since 1975 when he decided to pump a little iron and release arguably the greatest blue collar American anthem ever penned with “Born to Run,” Bruce Springsteen has burned across the night sky of American pop culture like a riotous, infinite comet. We have it on good word from a friend of a friend who happens to live in the Springsteens’ neck of the woods in Jersey and ends up at the same pub from time to time that the man always travels with half-written songs in his pockets. He never stops. It’s no wonder, then, that in so many bios of young singer-songwriters something like “harkens to a Nebraska-era Springsteen” appears as a description of their authenticity, sound and depth. Although it seems inconceivable that anyone would be able to possess Bob Dylan’s power of musical influence on the singer-songwriter scene, Bruce does. Unlike Dylan, however, Bruce is a ham. His live shows bear all the markings of theatrical contrivance—the impossibly long knee-slides, the roving spotlights, the mike-stand backbends, the grand gesticulations and well-timed shifts in voice. Bruce, like any great playwright, director or actor, snatches up the audience and threads them through an emotional wringer, all the while making sure they enjoy the experience. Our beloved program manager Joel Lisi, who happens to be a big Springsteen fan, books our Club Jaeb singer-songwriter season. Joel’s a musician, too, and he knows the real deal when he hears it, which is why so many cool people end up on the Club Jaeb series. Inevitably, most of these cool folks cite Springsteen as a major influence. So, we asked Joel why he thinks Bruce flexes such impressive musical power. But what does that have to do with younger singer-songwriters? Our next Club Jaeb performer, Griffin House, launched into the big time because of Patti Scialfa, who happens to be married to Bruce, after she hand-picked him to be her opening act. House spent a few years in the Scialfa-Springsteen sphere of influence, eventually returning to Asbury Park to record a deeply personal album, So On and So Forth. House is one of the many magical sparks to fall from the Great Comet Streak himself, which you’d no doubt hear in his songs from So On and So Forth (and House’s other records) even if we hadn’t told you. We’ve realized Straz fans love knowing what goes on outside of the spotlights, so we’re running a short series called Tools of the Trade, listing some cool and maybe-unheard-of tools for life in the performing arts. This week’s spotlight is on music. Not just for medieval torture anymore, the gouging machine serves professional oboe players in the manual labor of their art—the making of reeds. Unlike clarinet and sax players, who can purchase pre-made reeds, oboists and bassoonists must learn to make their own. So, before practice comes the making of reeds, a time-consuming, meticulous process that involves a gouging machine which thins and contours the piece of cane that becomes the reed. The glorious kettledrums, unlike many drums, must be tuned to specific notes – which is where this little gem comes in quite handy. The timpanist fits this key on the screws securing the drum’s head to the kettle and gives it a quick quarter-turn ratchet to adjust the tone. Originally a Middle Eastern invention, the kettledrum traveled around the world, entering Western symphonic music as the timpani around the mid-17th century. While this handy little gizmo can double as a door stopper, the felt wedge has an important role to play in the life of a piano. Tuning a piano gets tricky because there are a lot of strings in that bad boy, and what happens if you accidentally hit the string next to the one you’re trying to tune? Well, then. If you have a felt wedge, you can mute the surrounding strings and get on with your business. … will buy you a decent conductor’s baton, which happens to be the least expensive tool in any orchestra according to Detroit Symphony Orchestra harpist and blogger Patricia Masri-Fletcher. Of course, some batons run much more than that, like these Mollards, which we imagine choosing the conductor, much like a wand to a wizard. (“12 inches, cocobolo knob, birch shaft, pliable … ah, yes.”) With many conductors of major metropolitan symphonies making million dollar salaries, that’s quite a return on investment. Ten-year-old music student Mateo Valdes’ violin journey at the Patel Conservatory. Patel Conservatory violin student Mateo Valdes has a very deep and wise gaze under a flop of shaggy, dark bangs. He doesn’t make eye contact much, but when he does, he seems to possess a kind of old-soul way of knowing that belies his slight 10 years of age. Suzuki Violin Camp at the Patel Conservatory, 2017. Meghan Lock’s formal musical life began like most, with piano lessons at the bright, young age of five years old. But, when her parents realized she was spending more minutes in time out for not practicing than minutes she was playing, they took a different route. Two years later, Meghan met the musical form that would blow her mind: jazz. “When I had my first interaction with jazz … it was like everything made sense. I love jazz,” she says. In 2017, Meghan threw her drumsticks in the ring for the Hits Like a Girl (HLAG) all-female drumming competition. She walked away the Week Three champion in the under 18 category for her performance of “Manteca,” the Afro-Cuban Dizzy Gillespie standard. Meghan joined Patel Conservatory music in 2016 when she landed spots in the jazz improvisation and jazz intensive programs. Studying with jazz teaching artist Matt Weihmuller, Meghan found her home at The Straz. “My first show with the Patel Jazz Combo was the Holiday Market sponsored by the Gasparilla Music Festival and the Junior League of Tampa in November 2016,” she says. “I enjoyed my time with Mr. Matt and never stopped [taking lessons and performing].” Meghan is a regular in the Jazz Combo class on Tuesday evenings at the conservatory as well as an as-needed drummer for Matt Weihmuller’s Saturday jazz improv class. If you have an interest, curiosity, proclivity or any such thing for the performing arts, chances are we have a class, camp or workshop just for you. Our arts education program ranges from pre-K to adult, so anyone wishing to explore or train in music, dance or theater has a home at the Patel Conservatory. Visit patelconservatory.org for a list of upcoming arts education programs. About ten years after the birth of hip-hop in the Bronx, the art form found its way to Japan when young Japanese artists encountered the music and saw breakdancing in New York, taking what they saw back to Japan. Wild Style is regarded as the first hip hop motion picture. In 1983, the film Wild Style, a seminal hip-hop documentary capturing the four pillars of the culture (graffiti, breaking, emceeing and DJing), screened in Tokyo. The kids who saw the film—though few—lost it, immediately embracing the colorful, unfettered, athletic expression of triumphing outside of a social system of conformity, illusion and oppression. A young man named Hideaki Ishi saw the film, and, in a matter of time, the world would come to know him as DJ Krush. DJ Krush, Toshio Nakanishi and Hiroshi Fujuwara are mostly credited with establishing hip-hop in Japan after Wild Style and during trips to New York in the early 80s. As it did in the United States, hip-hop exploded in Japan, especially in the Harajuku neighborhood, ushering in a new generation of baggy-clothes-wearing, rapping, blinged-out kids speaking truth to power and exploring this urban, urgent expression of creativity. “Many people assume that Japan is too ethnically homogeneous to provide a meaningful home for hip-hop,” said Dr. Ian Condry, a professor of Japanese culture at MIT who wrote Hip-Hop Japan: Rap and the Paths of Cultural Globalization, via email with us. Since certain breakdancing moves borrowed from Asian martial arts moves, b-boying (breakdancing) was already somewhat recognizable in Japan. Breaking took off as the first major influence of African-American hip-hop. Japanese b-boys and b-girls got really good, really fast. Emceeing and rapping caught on after breaking and DJing, and really extraordinary graffiti once lined the Yokohama Graffiti Wall, which, sadly, was painted gray in 2010 by the Japanese government. If the folks at (TITLE) for Dummies® or the Idiot’s Guide™ to (THIS THING) ever wrote a how-to guide on building a better world, certainly there’d be a chapter or two on the performing arts. Much has been said on the value of elevating culture and artistic achievement as hallmarks of a civilized society (such as Kennedy’s speech at Amherst College after the death of great American poet Robert Frost). We’ve also come to understand the correlation between depriving people of the arts and higher rates of crime, lack of critical thinking skills and violence. Mounting research proves that engagement in the performing arts improves children’s overall well-being. With the music, dance and theater, they get better cognitive abilities and higher-level emotional development plus experience with problem-solving, conquering fear, collaborating, effectively communicating and accessing creativity to imagine better outcomes. Perhaps most importantly, engagement with the performing arts allows children to develop a critical aspect of their humanity: empathy. And now we have the neuroscience to prove it. Simply put, empathy is the ability to understand and share someone else’s feelings because we can recognize our own—sort of an I-can-see-myself-in-you situation that breaks down the barriers of self and mistrust that often perpetuate never-ending conflicts. The performing arts allow us to see things differently, to learn viewpoints of people who are different from us and to see ourselves reflected in the artist’s work, often to some revelatory effect. We learn a little something new about ourselves and our world either by watching in an audience or by performing in a show. These are all good things. As humans, our other great pull is to make sense of the world, of our inner worlds and the world happening around us. At its core, art is about the human spirit making meaning of the human experience. Thus, the performing arts attend to our most powerful psychological and social needs, which makes the arts ideal for conflict resolution—or, at the very least, a non-threatening way to broach tough topics and uncomfortable truths. Music, dance and theater can be very safe avenues to confrontation, building empathy and creating the kinds of conversations that can turn conflict into an opportunity for a community to grow in a positive way. Around the world, people turn to the performing arts to help them access the often easy-to-see, difficult-to-cross bridges between people on opposing sides of a conflict. In the greater Boston area, a group of artists, educators, public service providers and academics created Violence Transformed, an initiative to respond to violence in the area, give a voice to victims of violence and try to find ways to prevent violence from happening in home, at school and in the community. Initially a one-time art exhibit, Violence Transformed has grown in the past ten years to become a multi-media event with workshops, exhibits and performances throughout the year. In Papua New Guinea, Seeds Theatre Group works to address the frightening amount of violence against women by engaging communities in theater. In 2014, the company collaborated with UNICEF Pacific for the #ENDviolence against women and children initiative with a music video that went viral. In Jamaica, the Sistren Theatre Collective has been working since 1977 as a group utilizing the performing arts as a community resource to address and confront violence and empower residents of all genders to change their situations, especially in desperate neighborhoods in Kingston. We hosted a World Cafe discussion during the It Gets Better residency in March 2017. 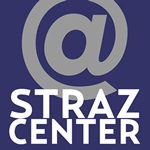 Here at The Straz, we’ve collaborated with the It Gets Better Project to address violence against LGBTQ youth (read about our work in this article in the Florida Diversity Council newsletter) and supported veteran PTSD recovery through visual art and movement workshops. As we move, socially, into more interaction with technology and social media than in actual conversations and person-to-person experiences, we see a growing national discussion about the need for activating empathy—even Forbes magazine published an article examining how lack of empathy damages the reputation and impact of business leaders. Empathy, the article notes, is the strongest skill in successful leadership performance.